Those who would like to get their hands on the Sony's new PlayStation 4, first here is some good news, the PlayStation 4 will officially arrive in United States on 15th November, 2013 followed by Europe on 29th November (UK included). Japan will see the launch of the Sony PlayStation on in 2014 with the release date being 22nd February 2014. 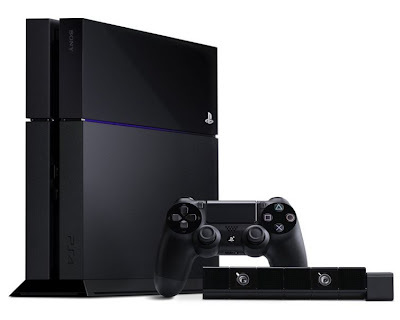 But Sony has not released any information about the release date of Sony PlayStation 4 in India and China. But Sony has clarified one thing, the price. The Sony PlayStation 4 will be available for 39,980 yen (US$400), or 43,980 yen (US$441) with the camera accessory. Roughly translated the PlayStation 4 will be available for Rs. 26400.00 + Customs duties for the basic one and 29000.00 + Customs duties for the PlayStation 4 with the camera accessory, as and when it lands on the shores of India. Sony is also launching a special promo limited-edition bundle called the PlayStation 4 First Limited Pack that will go for the same price, but includes a new title called Knack. This edition is available only to customers in Japan, for those who pre-order the console. As far released date for India in concerned, there is no news but Sony should divulge its plans for India and China in the upcoming Tokyo Game Show which is taking place the end of this month. For those from India who are interested, they can pre-order Sony PlayStation 4 from Games4u.com by visiting this article here.